Another year down and another phenomenal time at Miami Music Week with Spinnin’ Records! 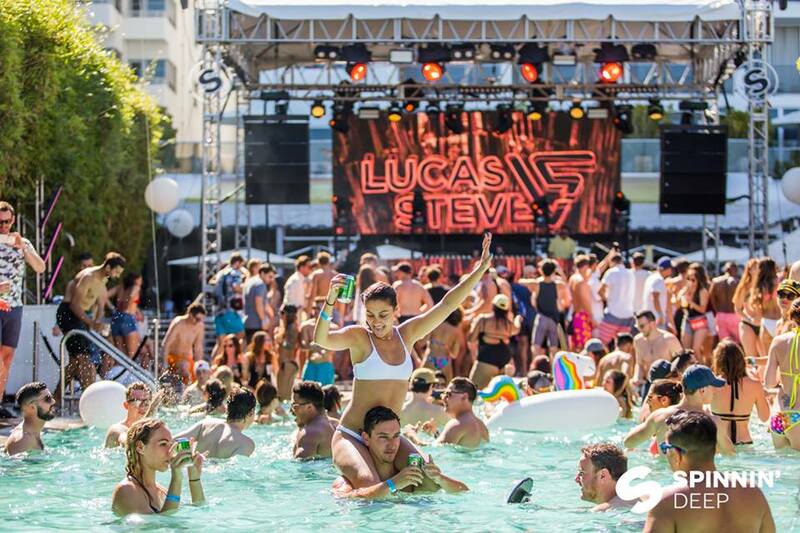 The Spinnin’ Hotel remains a top highlight for dance fans around the world since it began four years ago, as the stacked lineups and unreal experiences are simply a cannot miss. Hosting heaps of renowned talent from the industry throughout the five days of Music Week, Spinnin’ was a standout 2019 host. From the 27th to the 31st, each and every day was jam-packed with energy, positive vibes, and absolute dancefloor heaven at the Nautilus Hotel. Returning to the Nautilus this year was the staple Spinnin’ Sessions event, Robin Schulz & Friends, Heldeep Pool Party, Sander van Doorn Presents 15 Years of Identity, and the classic Spinnin’ Deep day. Kicking off the week at Spinnin’ Sessions, fans got a sweet taste of artists like Mesto, Bassjackers, and Lucas & Steve who all brought signature powerhouse sounds to the stage. The Him set the mood on fire and got crowds moving to a bunch of their smashing songs, and guests were beyond blown away as Alok brought out Steve Aoki as a special guest to jump-start the week on a surreal note. The Nautilus was booming with crazy amounts of party goers on Thursday and Friday for both the Robin Schulz & Friends and Heldeep pool parties. Building up the day were acts like Autograf and Justin Caruso who always manage to steal hearts with their performances. When it comes to Robin Schulz, there’s just something about him that sends crowds into another world of dance heaven and an overwhelming sense of joy. The set exceeded expectations when music stars Cheat Codes graced the stage to surprise everyone with roaring hype. The Heldeep pool party was arguably the wildest event of the week, with Oliver Heldens jumping up to join nearly every other artist – everyone at Heldeep was bumping with relentless energy and it truly was a one-of-a-kind event. Strolling in for a fourth day strong, fans came ready to rage with their squads from sunrise to sunset. Leading up the weekend was a slew of insane moments by David Torto, Jake Tarry, Bottai and more at the Sander van Doorn party. Fans moved and grooved all day long around the spacious setting outside at Nautilus from cannon-balling the pool to chilling out on the lawn out back. Sander reigns in dedicated fans everywhere he goes around the world, and Miami was no exception. The dance floor was filled with people from start to finish as he blew away attendees in celebrating the world premiere of 15 years of Identity. Last but not least, Spinnin’s treasured Spinnin’ Deep event closed out the week with 360 degrees of bangin’ music. Everyone soaked up the sun for one last shot as Kryder’s performance went absolutely off the charts, and Chocolate Puma brought out Tommie Sunshine for one last surprise. The crowd also danced the night away to none other than EDX and his everlasting soundtracks. Proving once again why Spinnin’ Records is one of electronic music’s most beloved labels, the Spinnin’ Hotel is more than just performances. Here, it’s all about bringing fans together with their favorite artists, and being a wonderful space where producers and industry members can all be together in one place for a very special week, making memories and celebrating being part of the most passionate industry out there. Till next year Spinnin’ Hotel!